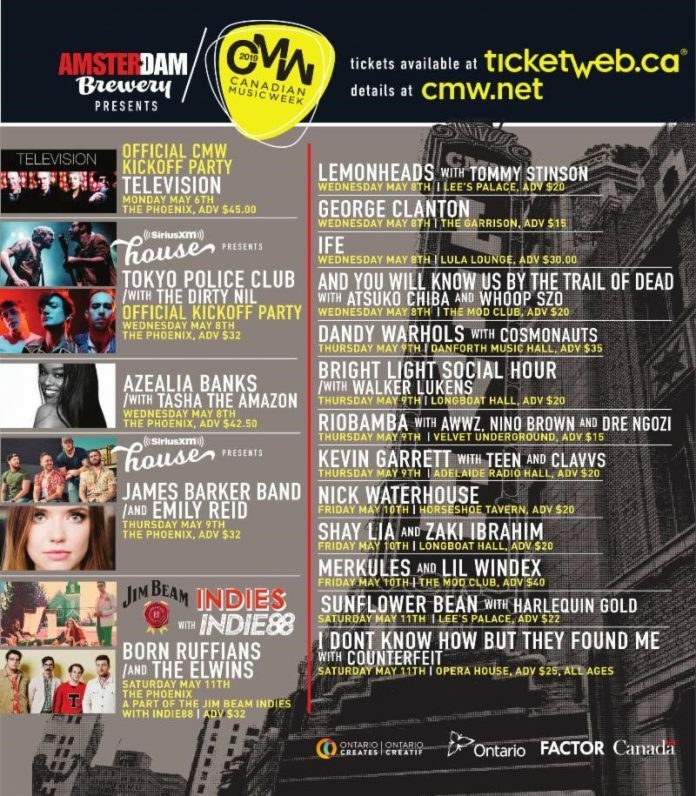 Canadian Music Week announces another round of artists this week. The new additions feature Juno award winning country act James Barker Band joined by singer songwriter Emily Reid at the Sirius XM House, rapper, singer, producer Azaelia Banks, Toronto rapper Tasha the Amazon, and seminal 70s rock band Television. The 37th edition takes place from May 6-12 at a variety of downtown Toronto venues. See below for previously announced shows.